A Conservative government would end police misuse of controversial stop-and-search powers that have hit many innocent photographers, Shadow Home Secretary Chris Grayling has said. A Conservative government would end police misuse of controversial stop-and search powers that have hit many innocent photographers, Shadow Home Secretary Chris Grayling has said. The pledge follows a call made by Amateur Photographer magazine to Conservative Central Office this morning. It comes as new figures show that police use of the controversial Section 44 stop-and-search power jumped 66% in 2008/2009, compared with a year earlier. 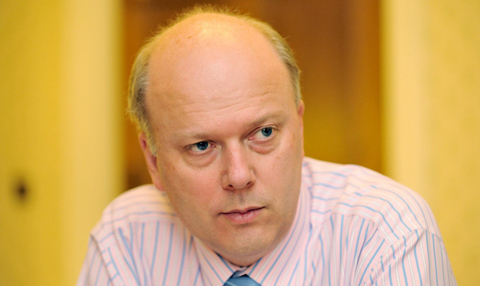 Shadow Home Secretary Chris Grayling (pictured below) added: ‘Gordon Brown and Labour have trampled our civil liberties for far too long. Whether they’re trying to impose ID cards, or allowing hundreds of thousands of innocent people to be stopped and searched under Terrorism powers, they always seem to think the state knows best. In a meeting with Amateur Photographer magazine last month, the government once again attempted to reassure photographers that they are not being ‘targeted’ by police officers under anti-terrorism stop and search powers. And the government’s terrorism watchdog, Lord Carlile, recently confirmed to Amateur Photographer that he has called for Section 44 of the Terrorism Act to be abolished. At the time of writing the Liberal Democrats had yet to outline their policy on this issue.